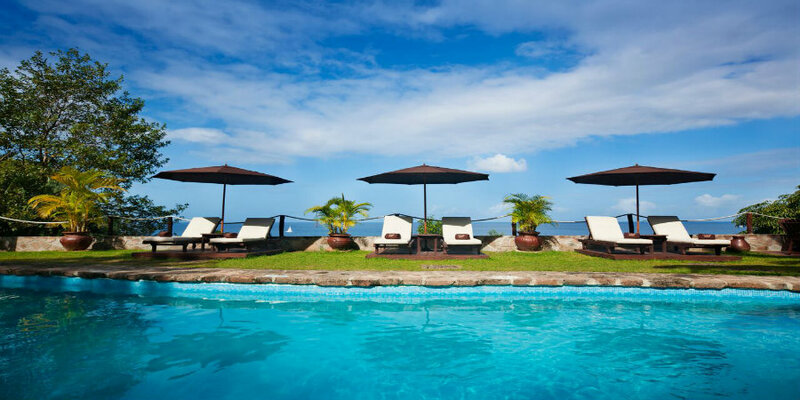 Groups who are looking to relax and practice yoga in paradise need look no further than Ti Kaye Resort & Spa in St Lucia, where tailored retreats can be put together especially for you. 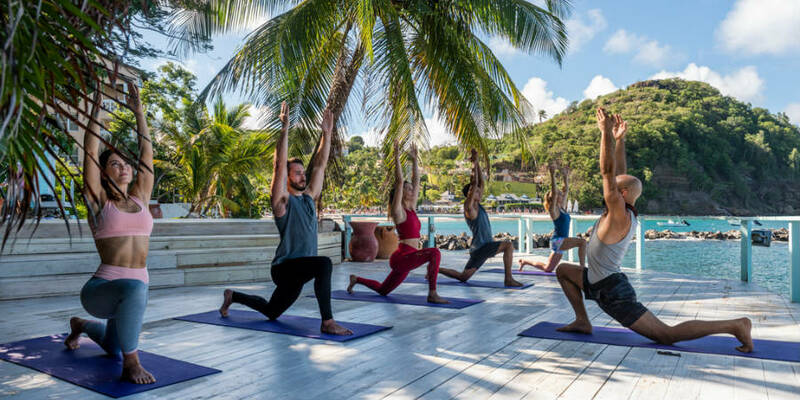 As well as taking part in wellness activities and yoga lessons, guests can relax in a stunning location, discover some of St Lucia’s most impressive sights, enjoy breathtaking sunsets and sample locally food and drink. Packages are for a group of at least 6 people and include various fitness and wellness activities as well as full board accommodation. So what are you waiting for? Get a group together and plan your tropical wellness holiday. Full board accommodation in luxurious Ocean View rooms, either for single or double occupancy. Healthy and locally inspired meals, afternoon tea, smoothies and non-alcoholic beverages. 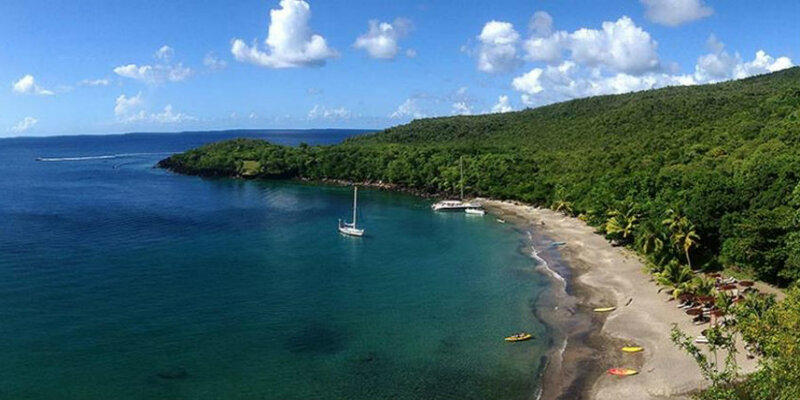 Unlimited use of kayaks and snorkelling equipment. Group transfers from Hewanorra International Airport. Full access to the resort’s amenities including fitness centre and swimming pool. 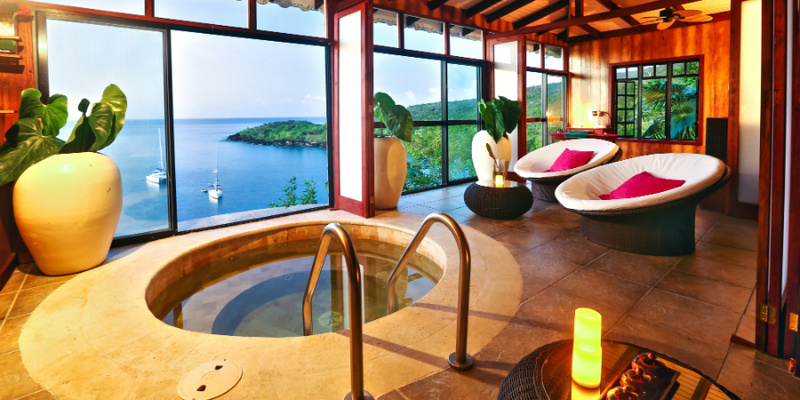 Ti Kaye’s signature packages also include selected activities, from relaxation massages to soaks in the Sulphur Springs, from hiking up St Lucia’s famous Gros Piton to wine tasting sessions in the resort. Yoga instructors can opt to design their own programme, teaching classes in one of the breathtaking spaces at the resort including the beach and an over-water gazebo. Ti Kaye Resort & Spa is a small and unique adults-only resort which is set on a hillside overlooking a secluded beach, perfect for those in search of a peaceful holiday. Accommodation is in charming cottages which are designed to make the most of the natural surroundings, a clifftop spa offers a range of treatments, while a variety of activities can be found in the surrounding area. Ti Kaye’s restaurant is set overlooking the Caribbean Sea, offering an à la carte menu with a Creole flavour and using local Saint Lucian ingredients including some which are grown within the hotel’s gardens. 7 nights from £2245 per person based on two people sharing an Ocean View Room. Price includes flights, transfers, full board accommodation and the additional activities mentioned above. 7 nights from £2880 per person based on one person staying in a single occupancy Ocean View Room. Price includes flights, transfers, full board accommodation and the additional activities mentioned above. 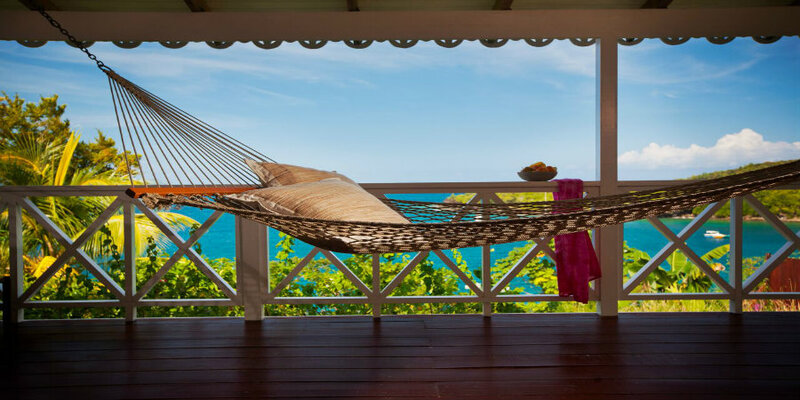 Call us on 01752 880880 or email [email protected] to discuss your Caribbean holiday.